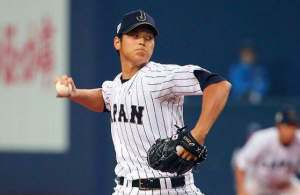 It appears to be only a matter of time until Japanese sensation Shohei Ohtani is officially posted for major league teams to bid on his services. With his abilities as both a pitcher and a hitter, virtually every MLB team would love to add him. Of course, some teams want him more than others. One team that appears to be gearing up to make a significant effort to sign Ohtani is the Seattle Mariners. Marines GM Jerry Dipoto says the team has been preparing for over a year to bid on Ohtani in hopes of bringing him to Seattle. Dipoto has traveled to Japan to personally scout Ohtani. He came away believing that Ohtani is the real deal and a player worth all of the hype he’s received. Part of the process for Seattle involved a trade last week intended to increase their international bonus money. Right now, the Mariners are nowhere near teams like the Rangers and Yankees that can offer Ohtani a signing bonus of $3.5 million. It’s not a lock that Ohtani will sign with the team offering the largest signing bonus. However, the Mariners are determined not to put themselves at a disadvantage. The goal for Dipoto and the Mariners is to get a sit-down meeting with Ohtani and his representatives so they can show him all that Seattle could offer him. The club has prepared both video and written presentations for him. Dipoto also believes that the team’s history with Japanese players gives the Mariners one advantage a majority of other big league clubs don’t have when it comes to Ohtani. Going back to 1998, the Mariners have had at least one Japanese player on their roster every season. Ichiro Suzuki is easily the most famous, while the most recent has been Hisashi Iwakuma. The Mariners are hopeful that they can re-sign Iwakuma for 2018. They also plan on using former Japanese players in their pitch to Ohtani. What team signs Ohtani is anyone’s guess at this point. But it’s clear that Seattle isn’t messing around. Dipoto plans to pull out all the stops in order to sign Ohtani. That determination may end up making the Mariners one of the favorites to get him.